Have you been considering replacing your missing teeth with full or partial dentures? If so, you may feel excited about all of the many benefits they offer. For instance, they are noninvasive, so they make a wonderful solution for most patients. In addition, you can replace nearly any configuration of missing teeth with dentures, so you can rest easy knowing you are on your way to a more beautiful, complete smile. However, you may be wondering what to expect from the process. Once you understand the steps it will take to receiving your dental prosthetics, you will see just how easy it is to return to daily comfort and function. We will first meet with you to examine your smile and to discuss your needs. Patients suffering from complete tooth loss – meaning they are missing either a full arch or two full arches of teeth – will require complete dentures to replace all of their missing teeth. Patients who are missing multiple or many teeth will need a partial, which will make room for the remaining teeth in their mouth to stay where they are. 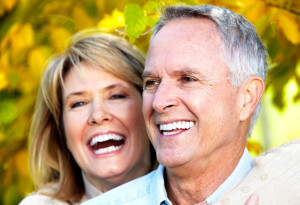 Wondering how we get your full or partial dentures to fit so well? It’s a simple process. First, we will take impressions of your top and bottom teeth or dental ridges. 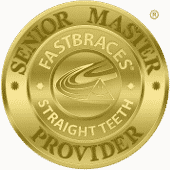 We will send those impressions to a trusted dental lab that specializes in creating dental prosthetics. A skilled technician will craft your dentures according to your needs and the dimensions of your mouth. Once complete, the lab will send us the finished prosthetics. You will return to our office to receive your dentures. Rest assured, we will first have you try them on, so we can make any final adjustments to ensure you receive an excellent first. In addition, we will explain the adjustment process, how to care for them, the best way to maintain stability, and the do’s and don’ts of wearing dentures. It’s that simple.